The invention of the paint tube in the 19th century changed the pictorial landscape. This new way of packaging colour pigments had a major impact on the artistic world. And artists would subsequently change their painting methods in this new, technologically progressive world. This new era of the 19th century was the dawn of much change. Studios began to fade away and art schools popped up. Colour pigment sellers gradually replaced students grinding pigments for their masters. The art industry thus invested in colour which was now being manufactured using standardised processes. Painting was becoming a profitable business. In addition to professional artists there were now Sunday painters or dabblers. The range of coloured paints was expanding. The big problem with oil paints was how to package them. Pig bladders were simply not up to the job. In 1841 the American artist John Goffe Rand filed a tube patent so that paint could be contained in a tin tube with a lid. Paint packaged in tin tubes came from England, marketed by art suppliers Winsor & Newton. Over in France, Lefranc & Bourgeois were a big part of this change by making improvements to the substances added, making them less toxic on the one hand and on the other, ensuring that the shades of paint sold had more stability and fixity. The high point was the marketing of a flexible tube with a screw top in 1859. These new paints had better adhesion properties on a variety of canvases, were more indelible, dried better (and faster), kept their shades over time and shine and dullness were easier to obtain. 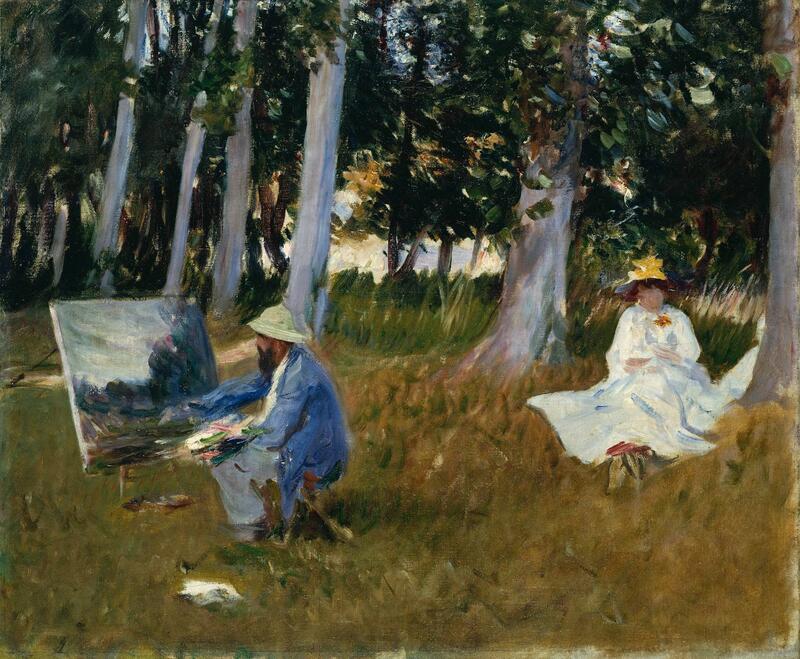 Best of all, the paint inside the tubes was far more mobile, meaning artists could paint in situ – often outside. Although the paint tube appeared three decades before the official date given for the start of Impressionism – the stirrings of which obviously had more ancient roots and filiations – it was given a decisive role in the evolution of pictorial art. The tube of paint, along with the flourishing of trains and photography, two concomitantly technological and technical evolutions that urged the art of painting to move with its time, breaking with old traditions. Photography and portraiture exempted pictorial art from a mimetic representation of reality in some way. So Impressionism is considerably indebted to the invention of the tube of paint. It might never have taken place without it.